Attribution gadget present in the end of you your blog which we called footer and footer helps to tell about other your site contain this copyright. but when you move to remove powered by blogger and you not get its solution than you think How to remove powered By Blogger? and here is your solution to remove powered by blogger from your blog. first you should know about why it not remove here is reason remove powered by blogger is locked and after trying to remove powered by blogger from footer you failed many times because you not get any option and tricks to remove powered by blogger. 2. Download your Template copy, if anything wrong in blog you can easily reset. 6. 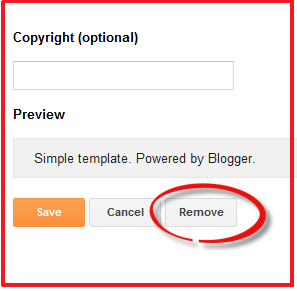 Now move to layout in blogger and this time to remove Powered By Blogger. 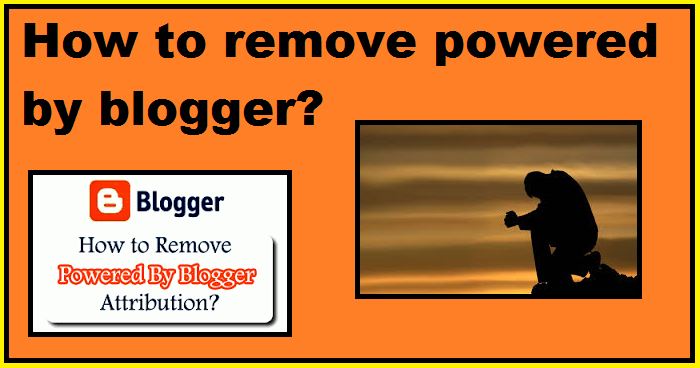 If you like how to remove Powered By Blogger please comment us in our blog for more new good and interesting tips. have you finished with your promotion reply thankyou . so much thanks to you to write something for us and hope you too established a great site. Those hoping for journalists and the specialists, here is something that will doubtlessly make your articles a major hit in the article registries and to your perusers also. thankyou for your reply to us. thankyou for your commenting efforts . nice websites , i looked everything its nice and keep it up. anything else you have to post here so warm welcome from my site to post and comment to make backlinks. nice to know about you to created backlinks for your website . its ok every one do. all is your welcome. Good post! I am using blogger for our small cooking new website and this makes our site look more professional. It is working perfectly, and your instructions will be helpful for me to know more about blogger. brother, i have many secrets about blogging and making generating traffics everyday. if you want please let me know . I am searching this kind's information to edit my blogger website Powered By Blogger. Al last I have found and done this successfully with the help of this content. thanks. welcome dear if you have any other query i am ready to help you. because i invested a long time in website to make it more good and better for use. waiting for your reply. A couple of years back I chose I would winter in the sun and escape the frosty winters here. At the time I was working in a chilly office in a feeble working with extensive drafty aired out windows that didn't. We solidified in winter And softened in the mid year. In some cases we wore our jackets scarves and fingerless-gloves, as the wasteful radiators didn't warm us. Many, after "a"
Always i appreciate such useful and helpful post . thankyou, if you want to know about us please reply. I have read your blog its very Interesting and informative. Register Your Events Today in Simple Steps.online events registration. We help to integrate the student Community and Colleges / Universities to publish event and provide updates of other Campus Events around the globe. Really a nice blog. From here we should learn something. Really a great post. There are some important suggestions. I am happy to read those. Thank you for posting. Thanks for the great tips. I have learned a lot from the post. I have no idea how to remove Powered By Blogger from blog post. Thank for sharing this nice post. welcome dear, for any other help please comment.